Upset at the government’s decision to double down on cutting train services in Western Sydney with the removal of the Liverpool/Bankstown via Regents Park train in 2013, removal of express trains from Lidcombe, and plans to cut the Bankstown Line; commuters have reiterated their calls for Premier Gladys Berejiklian and NSW Opposition Leader Luke Foley to restore the services. Roydon Ng said, “19,000 commuters from stations west of Bankstown will soon have no direct train to City”. Resulting from the timetable changes in 2013 and 2017, journey times for commuters have also substantially increased along with the number of interchanges at Birrong, Lidcombe and Strathfield. Residents from Berala, Regents Park, Sefton, Chester Hill, Leightonfield, Villawood, Carramar, Birrong and Yagoona have been the most affected by the government’s cuts to trains which started 5 years ago on 20 October 2013. 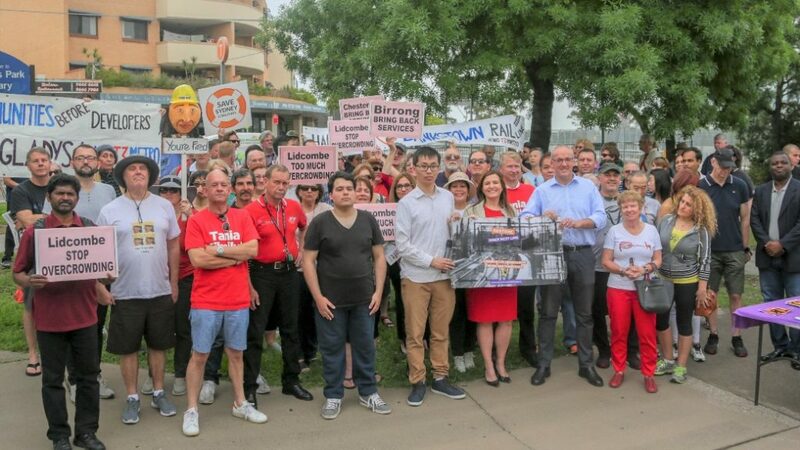 NSW Opposition Leader and Member for Auburn Luke Foley, Member for Bankstown Tania Mihailuk, The Battler’s Tony Oldfield and Restore Inner West Line’s Roydon Ng spoke about the need to reinstate the direct train to the City on the Inner West Line for Liverpool via Regents Park. Luke Foley also announced Labor’s plans to restore the train services and highlighted the government’s investment in stadiums instead of public transport in Western Sydney. 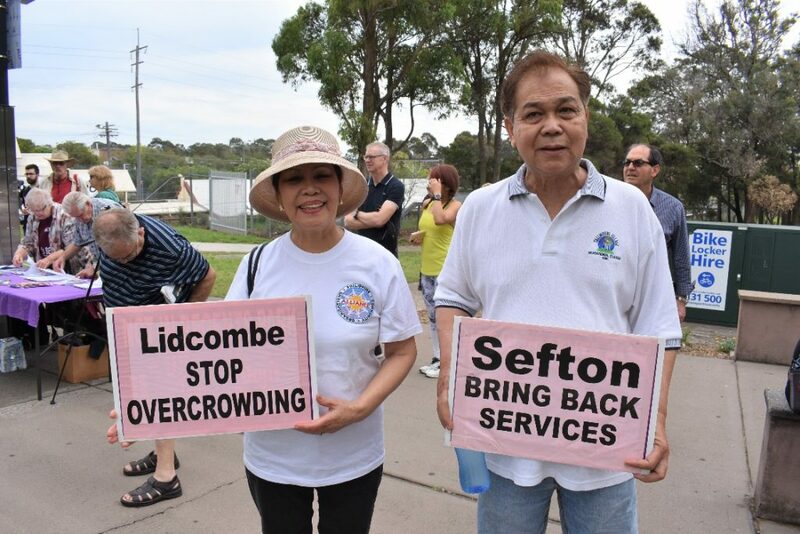 Commuters also shared stories of the difficult interchanges at Lidcombe and overcrowding on trains that have discouraged many from using public transport. Cumberland Councillors Kun Huang, George Campbell, Glenn Elmore, Ola Hamed, Paul Garrard; and Canterbury-Bankstown Councillors Alex Kuskoff and Rachelle Harika and the Sydenham-Bankstown Alliance have put their support behind the campaign and were all at the rally on Saturday.